Kicking off the School’s 70th anniversary celebrations, Professor John Board greeted a packed conference room at Henley Business School’s Greenlands campus, and welcomed delegates to the 2015 Corporate Regatta Day event. ‘The 1st of July was the day we began our 70th anniversary celebrations’, Professor John Board told a packed conference room at Henley Business School’s Greenlands campus, as he welcomed delegates to the 2015 Henley Corporate Regatta Day event. The Dean of the Business School then proceeded to reflect on the reasons why the Administrative Staff College – as it was originally called – had been founded, and the questions that were being asked back in 1945. Steve Ludlow, Head of Executive Education then summarised what has been a good year for the Business School. ‘We’ve updated our programme portfolio and have recruited a number of new clients on custom programmes, including Roche Pharmaceuticals’, he announced, adding that ‘we are delighted that our improvements have been recognised by our elevated position in the latest Financial Times rankings. Steve then handed the baton to Claire Hewitt, Head of Learning Design in Executive Education, to introduce the agenda and the day’s speakers, each of whom had a different perspective on the theme of the event: The neuroscience behind the art of leadership. First, Claire introduced Patricia Riddell, Professor of Applied Neuroscience, and Professor Doug Saddy, from the Centre for Integrative Neuroscience and Neurodynamics, to answer the big question: What is neuroscience? – and to give some context to it. Doug explained that research carried out in the 1800s led to an understanding of the various regions of the brain, but we now recognise that the brain works as a complete entity along with the central nervous system. Indeed, there is ongoing work to understand how the brain is linked to the intestinal system and to establish the scientific processes that lie behind the phenomenon of ‘having a gut feeling’. He explained how the brain and central nervous system control both mental and physical actions, and described how MRI scans enable us to see how the brain responds in a variety of situations. Patricia then provided a brief introduction to the biochemistry of brain neurons, explaining how the gaps between the synapses provide the brain with its flexibility and how repeated use of the brain strengthens the links. She cited a recent study of taxi drivers, which found that longer-serving taxi drivers had a larger hippocampus – the part of the brain where locations of memories are indexed. Patricia and Doug were joined by Professor Kevin Money, Director of the John Madejski Centre for Reputation, Andrew Kakabadse, Professor of Governance and Leadership, and Peter Hawkins, Professor of Leadership, in a panel discussion focusing on the challenges being faced by a local business. The subject of the case study was Steve Woodford, CEO of Haslams Estate Agents, a company founded in 1838. Steve explained that he bought the company 20 years ago – at the time employing just three people – and how he now has over 30 staff, newly relocated to an open-plan office. Steve recognised that he had been too ‘hands on’ but insisted that there was a clear set of core values to which the team (usually) adhered. Kevin focused on whether there was emotional contagion across the cultures of the different teams. Steve explained that, while Haslams was essentially a sales organisation, it also had an administration department, and there had been strains and issues in bringing them together. Steve went on to report that the company had just had a record month for lettings for which the sales team had been rewarded, but the administration team was disgruntled at not being similarly recognised for their part in the success. Kevin mentioned a study at Harvard that showed executives would rather earn less (but know that they were on the same salary as their colleagues) than earn more (if they knew this was less than their colleagues). Fairness, it seems, is very important for emotional well-being. Doug added that through emotional contagion at times of change, new modes of behaviour would gradually emerge; and, while everyone currently felt vulnerable, stability would be re-established in time. But he reiterated that it was up to Steve to set standards and expectations. Continuing on the theme of vulnerability, Patricia talked about psychological safety and the impact of each individual feeling threatened, and the importance of understanding how to control these feelings. Peter likened Steve to the metronome that defines the rhythm. ‘You must role model how you want them to engage customers,’ he added, leading Steve to acknowledge that he would have to run workshops for everything, right down to meeting and greeting. ‘You need to orchestrate. Be the coach, not the person who does everything,’ concluded Peter. On that note, the panel discussion was drawn to a close. Delegates then had the opportunity of attending one of two active learning sessions. During this workshop, delegates considered the attributes of high-performing teams, and the ways in which behaviour, experience and brain system preferences can contribute. scaling a team; how much change can a team bear? Peter continued: ‘Change is constant and inevitable, and if you think things have been changing fast in the past, the future will be a shock for you! If your company isn’t changing faster than the rate of change of the outside environment, you’re on the road to extinction. So the real competitive advantage is the rate at which you can learn, and this is where neuroscience comes in. ‘The environment is changing faster and faster; strategy is now a daily activity not a five-year plan. Culture will always eat strategy for breakfast. Leadership gets the culture to collectively behave. So shifting the culture can be achieved more effectively by changing the leadership, rather than the individual leaders. And strategy can be condensed into one question: what can you uniquely do that the world of tomorrow needs? And the one thing we can guarantee is that future generations will face even greater challenges. ‘Unfortunately, when faced with challenges, we tend to put them all in boxes and delegate each one to a different person, because that’s how we’re wired. And it creates artificial security. Patricia then explained how different types of leadership produce distinctly different patterns of activity in the brain. ‘There are two kinds of leadership: task-oriented, i.e. making things happen, and socio-emotional, i.e. maintaining morale and positive relationships. ‘When you do the neuroimaging, the activity in the brain looks very different for each of these, with each type of leadership activating a different system in the brain. This is not surprising. What is more surprising is that each of these systems inhibits the other. Thus, you can’t do both types of leadership simultaneously. So if you tend to focus on task oriented leadership, for example, you’ll strengthen your ability to do that at the expense of socio-emotional leadership. ‘We assume that leadership is all in one brain, but it rarely is. Task-oriented people have to learn to give themselves time and space to develop their socio-emotional leadership skills. Otherwise the default setting is what you are used to doing. Patricia then expanded the discussion to look at the role of resonant and dissonant leaders. ‘Dissonant leaders have a personalised vision – they know where the company is going but they’ve forgotten to tell anyone else! It feels as if they are in it for themselves. And this activates the sympathetic nervous system - the classic “fight or flight” response. Or at least it does in men. In women, the equivalent response is often “tend or befriend”, a very different response to stress. ‘Having one shared goal means you can succeed together, and this activates the parasympathetic nervous system, allowing you to feel safe and secure, and give you a sense of belonging. And most research suggests that resonant leaders are more effective. What type of leadership is in place in your organisation? In what ways does the leadership fit the needs of the organisation now? The Henley team talked through a presentation about the science of decision-making, highlighting the subconscious decisions we take, and how the brain is a system of conflicts. They explained how studies have shown that CEOs make decisions using methods that are, in some respects, closely aligned to methods employed by college students, although the outcomes are achieved through different mechanisms. 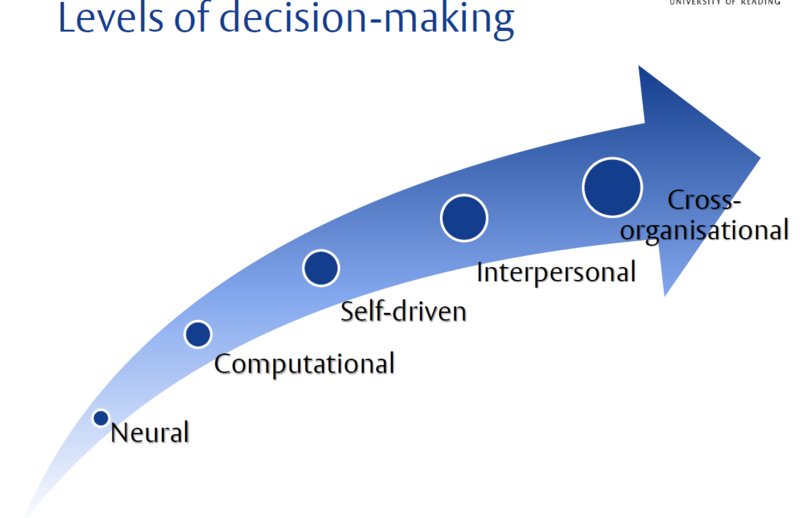 Getting buy-in for longer term decisions is difficult for both groups because the rewards are delayed, making such decisions less compelling, especially for younger people. They explained the different types of decisions – self-driven, social or collective – and how neuroscience has found that people with certain types of brain activation are less prone to addictive behaviour. Kevin then described a study of 25 CEOs during which their biases were assessed; ‘We looked at their collective identity, their relational identity and their individual identity, and studied how they see themselves, in what situations they make decisions and how they influence others. ‘The CEOs were tested in an MRI scanner, scoring points against established criteria, and being fed information about others’ performance. 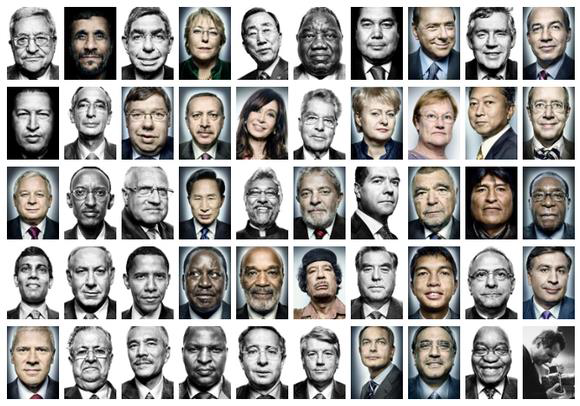 ‘Leaders define themselves as decision-makers, and in the words of Chris Machin, they learn to be “confidently lost”. Asked whether there are gender differences in the way the brain works, Kevin suggested that women may use social information even more than men. Doug disagreed, saying that men’s and women’s brains are physiologically identical, except in size. And Andrew agreed that outcomes and performances are the same across the genders. In response to the question of whether a good CEO is able to learn from a bad decision, the discussion moved on to the topic of resilience, which was felt to be useful for working through complexity, but dangerous when it leads to rejecting necessary data. The confidence that leaders can deal with being lost appears to be a positive trait. 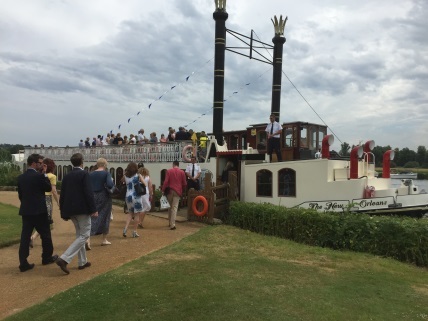 Following lunch at Greenlands, the delegates were then able to relax and reflect on this complex subject while taking in the beautiful views along the River Thames and the spectacle of the Henley Royal Regatta!